Our maintenance service is able to manage every aspect relating to the care of live vivariums, as well as provide a top-notch pet care service for the live animals within (if requested). 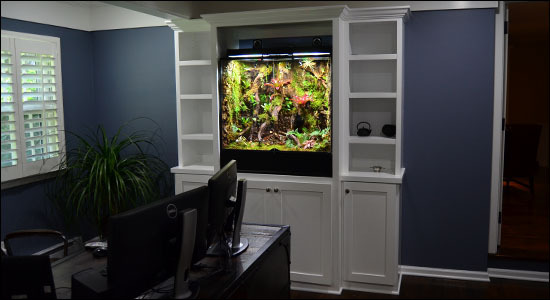 Whether you are looking to schedule a monthly vivarium checkup, or more frequent husbandry-related appointments, we're able to custom tailor our maintenance service around your specific goals. Our maintenance team members are all experienced vivarium builders, and we aim to be punctual, pleasant, and productive. Back when our company had a retail pet shop, we earned 100% scores consistently with the Department of Agriculture's inspections, which isn't an easy feat. 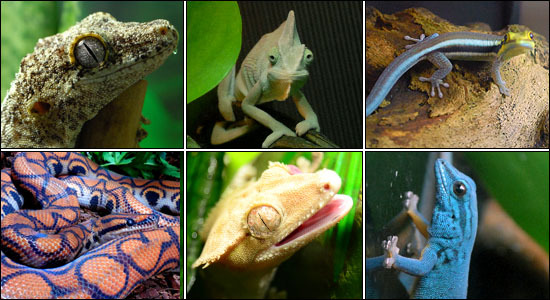 We were also the only exotic pet store in Connecticut (possibly all of New England) with a "Captive Bred Animals Only" policy. 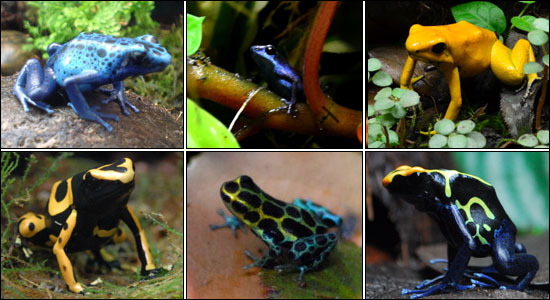 Our team of herpetoculturists has worked with just about every species of Reptile, Amphibian, and Invertebrate which is commonly kept in the hobby, and putting animals first has been an integral part of our company's identity since we opened in 2009. With a combined total of over 35 years worth of experience as exotic animal keepers, we're confident that your pets will be well provided for while under our care. 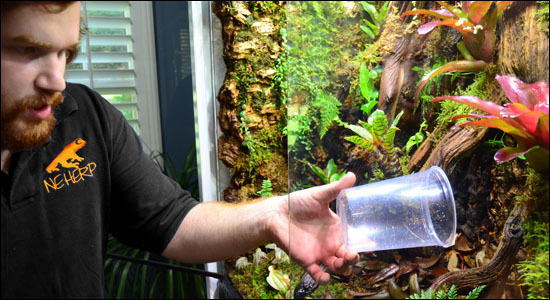 We manufacture the industry's best substrate, grow some of the healthiest terrarium plants, breed our own microfauna in-house, and stock products from every major vivarium related brand on the market. In other words, if your vivarium needs a part, we've probably got it in-stock. If your animal needs a specific supplement or diet, we've probably got that, too. If you need something, we'll gladly bring it along on our next appointment date. 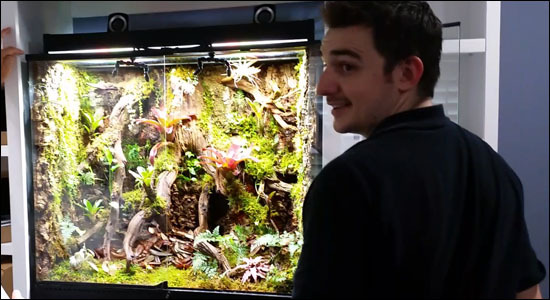 When it comes to trimming plants and shaping the background of an enclosure, we understand that every vivarium, owner, and inhabitant is different. While some people might prefer the look of a heavily grown-in enclosure, others may enjoy the look of something which is more stringently maintained. The thing is, there is no correct answer. We understand that personal opinion goes a long way when determining a definition for what's considered ideal. We'll keep your preferred look in mind while trimming the plants within an environment, as part of our personalized maintenance program. If you'd like to learn more, please fill out the form below! We'll get back to you ASAP. • No unlicensed venomous animals. No illegally imported species. Nothing illegal, please. • We reserve the right to refuse service, in the event that an animal's wellbeing is in question. • New England Herpetoculture is against the unnecessary wild-caught trade of Reptiles & Amphibians. We strongly urge all clients to choose captive-bred animals, and will be glad to assist in their acquisition whenever possible. Manually request an extra maintenance service below! There are plenty of reasons why an extra (non-scheduled) service might be required every once in awhile. Use the below form to let our maintenance staff know, and we'll get back to you ASAP to schedule a convenient appointment! Fill out form. This page has been modified to fit your screen. Slightly more content will appear on a large tablet or computer device.